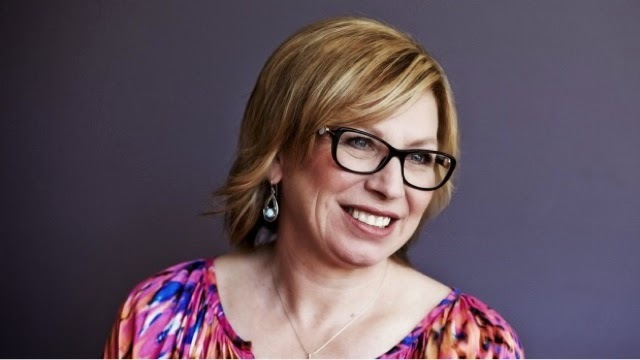 I feel so strongly about anti family violence campaigner and newly appointed Australian Of The Year Rosie Batty. I can't quite put into words what affect she has had on me, but I find myself in awe of her as a reluctant celebrity but also as a woman who could be my beloved next door neighbour, or friend. I find myself paying attention to her message so closely, wondering how I can help her movement in some way. I study her expression intently whenever she pops up on my screen, just to see if I can read how she really is behind her focused determination. I study her to see how she is doing not as the voice of an important cause, but as a mother who lost a son, and as a woman who is still very much emerging through her own dark times. I look at her and I remind myself that I can really cope with pretty much anything in my own life if Rosie is successfully putting one foot in front of the other. And man, she is. She's doing so much more than that. In 2014, Rosie's only child Luke was murdered by his own father at weekly cricket training. You don't need to look too far to read about their history but clearly Rosie and Luke were victims of long term family violence which was inescapable, and in the end, tragic. Since then, Rosie has been a strong campaigner against family violence. She's a woman who has survived; lost greatly but truly survived in every sense of the word and continues to do so with others in mind. Rosie did not disappear after the death of her son. Rosie opened her mouth and out came the words of a passionate campaigner with the first hand experience to argue against anyone who naively asked, "Why don't they just leave?" Rosie had the answers on behalf of all women who stay for many reasons, but for fear most of all. And she continues to speak with even more voice than anyone who has tried before her. Anyway, I just want to somehow clumsily acknowledge my admiration and immense pride for our Australian Of The Year, this year. I can forgive Mr Abbott for the ridiculous knighthood he bestowed upon Prince Philip but ONLY because his government has recognised Rosie and her cause in this way. Sadly, this movement needs a voice like Rosie's - I'm sure in a month of Sundays she never expected to be a spokesperson against family violence especially as a result of such personal circumstances but nonetheless, she's taking the opportunity to make a difference, to protect others. Awards and accolades aside, I truly hope that there are women out there who see Rosie as their guide if they currently find themselves living in fear. I hope her courageous smile and her message is giving them strength and the ability to take the necessary steps in order to distance themselves and their kids from the fate that befell her Luke. Keep going, Rosie, you're making a difference. Wherever Luke may be, I'm certain he's smiling down on his mum with such immeasurable pride.